Web design is no longer as difficult as it was a few years back. With sites like WordPress , you can create your own webpage or blog without the help of a professional web designer. WordPress is not only easy to use but is also versatile. If you haven't tried it out yet, then know that you are missing out. There are preinstalled themes suitable for your line of business waiting for you to customize it. 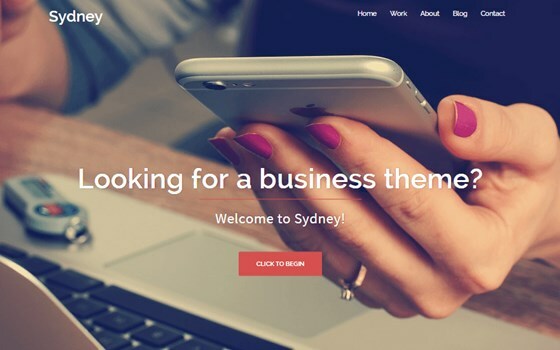 This is a beautiful theme fit for a range of businesses because of the professional look and elements. The fonts and color options are endless and there also is the full width header image allowing presentation of high resolution photos. Your SEO is high and you can easily be found by potential clients. It's also ready for translation to foreigners saving you extra resources. 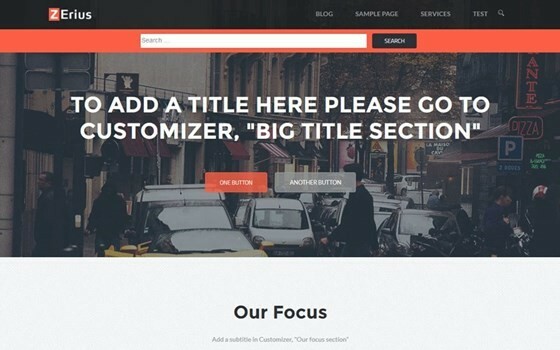 This is a great theme to enhance your SEO capabilities while adding content to your page. 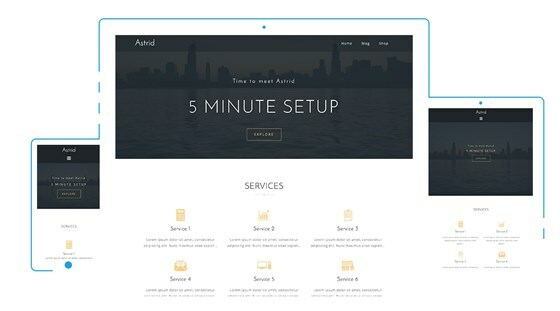 Its highly responsive with a parallax header upon installation. This offers a wonderful spot for business as it serves as a call to action button. 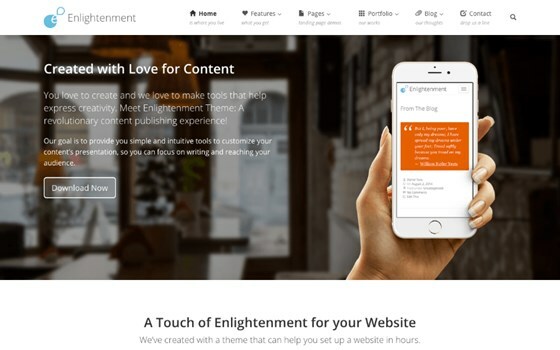 It is a beautiful WordPress theme for businesses of all sizes. The pre-defined blocks can be your website's building blocks as they can work with parallax backgrounds for different tabs. It also has high speed custom widgets, social integration and a responsive layout for ease of use by persons accessing your page. 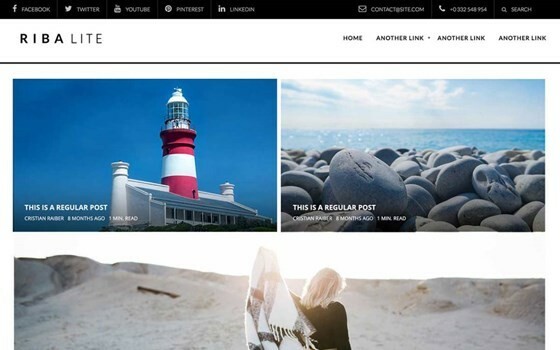 Highly responsive theme perfect for blogs and magazines for different industries.You will get an unlimited accent of colors to choose from as well as header and footer widgets that facilitate the web building experience. There also is localization support for page translation and a tool for uploading logos. 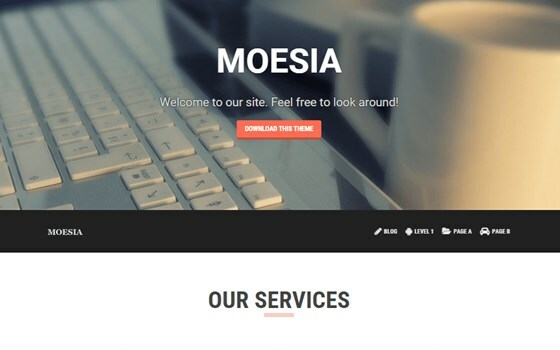 It is a free and fully responsive WordPress theme that comes with a clean and elegant aspect. You will get an online shopping section, different posting formats as well as the best widgets. There is a plugin support, localization settings for translation, unlimited color accents, Woo commerce and a featured slider. The Silvia theme for WordPress has a support system for the Jetpack plugin that supercharges your website. Built with the latest HTML5 and CSS3, it has high tech features and layouts that are easy to edit, locate, translate and understand. The SEO schema will increase your page's visibility while the high speeds and unlimited color options are enticing to your customers. It is a great theme for photography. 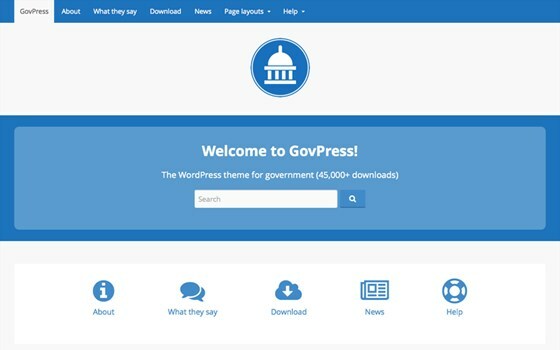 It's simply designed in white and blue especially for government use. Its navigation is easy with the custom headers, footer widgets, home page and sidebar. The background images and the responsiveness of the layout make it very appealing and functional. 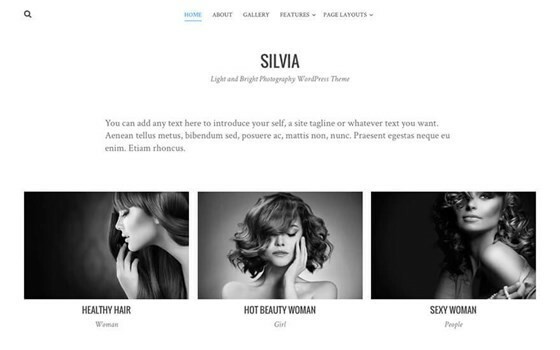 It is a fully customized portfolio theme for photos and videos. 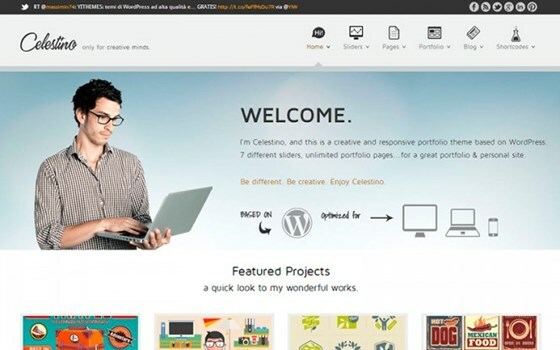 It has four responsive portfolio layouts with customized widgets and short code managers. There also are video and photo galleries. It is a great theme for businesses in the tech industry. The responsive layout and page building plugins makes it very functional. You can easily create filterable thumbnail grids as a result of the support for high resolution images. Therefore, it is a great resource in building your portfolio. It is built for magazines and such types of sites. It has a responsive layout, four column footer, two side bars, and involves minimal but clean designs. The ads are pre-installed and also have a homepage slider. 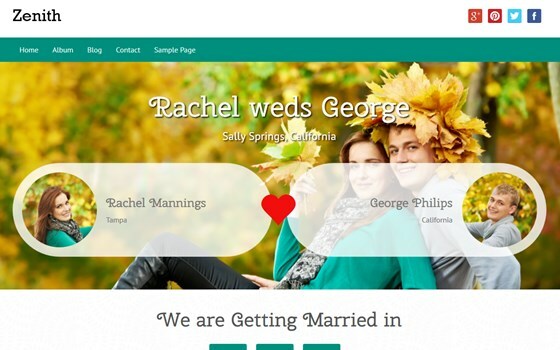 It is a great WordPress theme for people in the wedding industry. You can easily post stories, photos and videos or weddings because of the simple design. It is highly responsive, widgetized, style customized and has banner settings for and allocative space for photo galleries. Incredibly designed black and red theme for musicians and bands. The responsive pages and high speeds make it highly functional as a means to showcase albums or videos. It has a full width homepage slider and social links, as well as grid layouts and different types of posts. It is a theme for corporate that is very responsive and with a modern flair. It has favicon uploads, a logo, color control and blocks predefined for different tasks. You can also add your own code to increase functionality of the page templates. You can also boost your SE rankings through this theme. 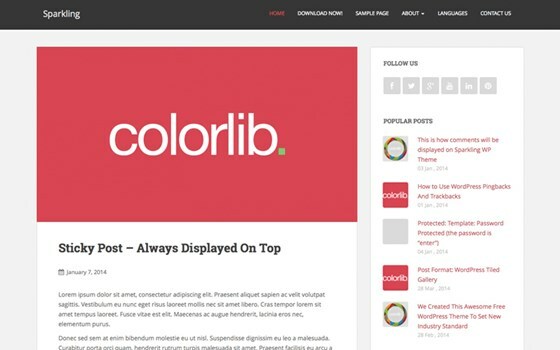 It's an ideal WordPress theme for beginners. 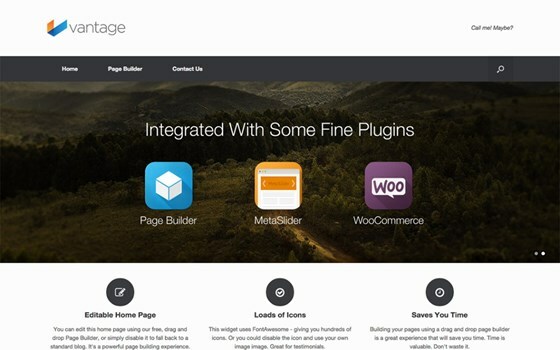 It has pre-installed plugins with the theme options powered by customizer. It is great for food loggers, photo bloggers and even professional bloggers. 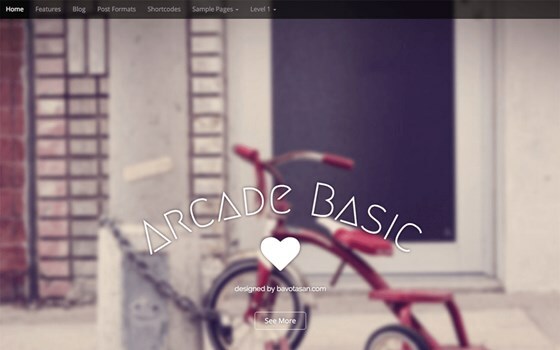 It is a multipurpose theme with unlimited layouts that you can incorporate in adding variety to your website. Branding is made easier with unlimited color accents, and image headers. Sidebars, widgets and up to four columns make implementation easy without any need for source codes. 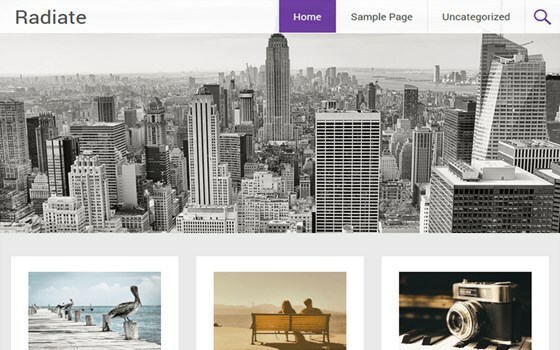 It is a great theme for photo galleries and portfolios. It has a masonry layout style making it almost similar to Pinterest. It's responsive and has toggle menus for the social menus and the sidebar. The parallax headers are also great for grabbing attention. You can embed videos and posts using the custom widgets. 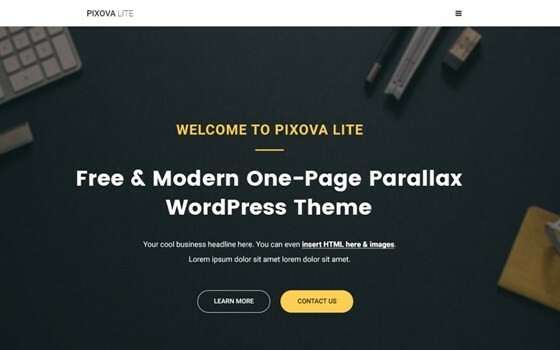 It is a light weight WordPress theme with a large image header suitable for telling people more about your company and products or promotions. It's easy to use because the header, site width and the page layout can be customized. It can be integrated with other plugins. It is a theme for storytellers in need of websites. Support for Woo Commerce and a catchy responsive layout with translation files makes it great for expanding reader base. It also has unlimited fonts and color palettes. 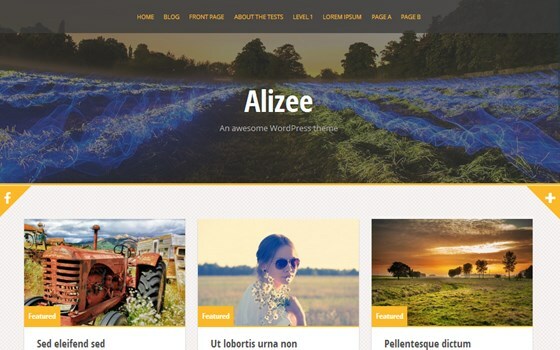 It is a great and minimalist theme suitable for photo bloggers. It has a clean design with customization options and responsive pages that are translation ready. It also has layouts for post and page like the full width, sidebar and content. 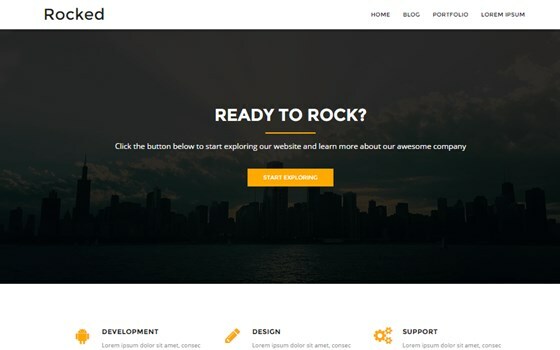 It is a modern look theme with a large header area suitable for promotional banners and/or new product introductions. The social integration and responsive layout makes the ads easily sent to social networking sites. Logos, layouts, colors and font are customized and it is integrated to work well with Woo Commerce. It also works well with other plugins. It is suitable for freelancers and companies in need of strong online presence. There is an expanse of logo uploads, color accents and fonts. The responsiveness and full screen slider are therefore highly functional while the sticky navigation facilitates movement though the site. It is translation ready. 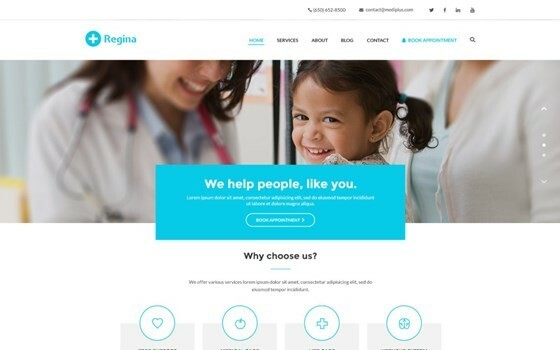 It is a free theme for the medical field; highly responsive with custom widgets that can be pinned to the header or footer. The header also has features for image overlaying with buttons and texts. 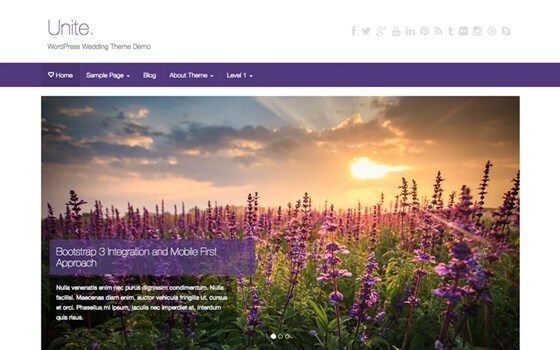 It is a bootstrap theme with a parallax effect and lazy loading increasing its elegance. It has a one-page layout and contact form 7, modern widgets and a responsive design that also allows Woo Commerce integration. 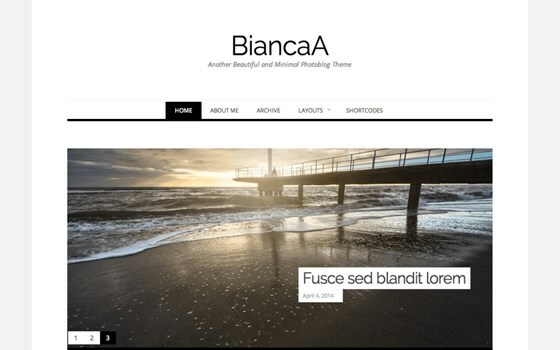 It is a simple white design minimalist theme for bloggers. It has plugin support. 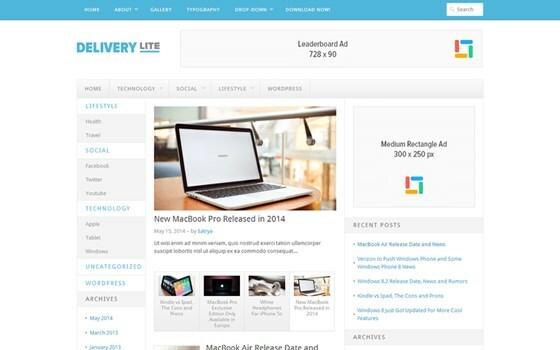 The themes is retina ready, responsive, and has unlimited color options and a featured slider. It has modern widgets with animations, parallax effect and easy contact functionality. 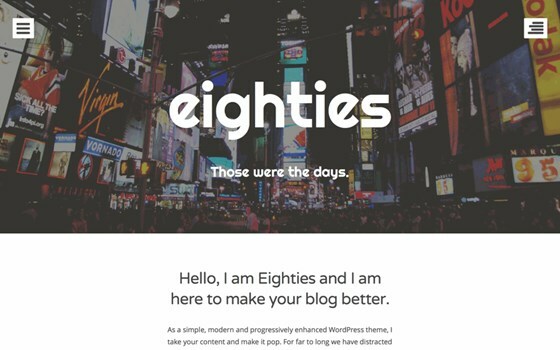 It provides full-width static header for bloggers. It is also easy to customize and has interactive sections. Created for photographers whether professional or amateurs. It has a modern, responsive look and is social media optimized with photo galleries and pictures to post. 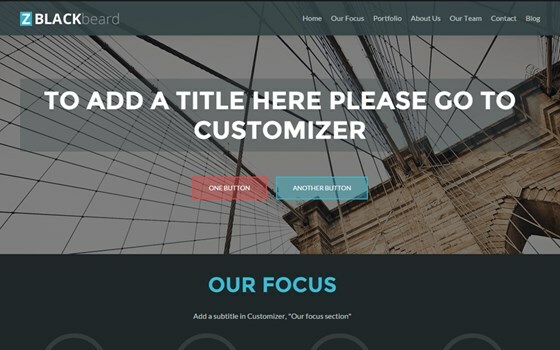 It is themed to put all your content at the front-center. The writings are the only visible things on the homepage. Menus and sidebars are customized and there is a custom header and a translation ready setting. It offers plenty of views because of the header area that allows for the grand pictures and the grids are used for linking to blog posts. Navigation is made easier with sticky posts and you get to choose the number of columns to be seen on the homepage. 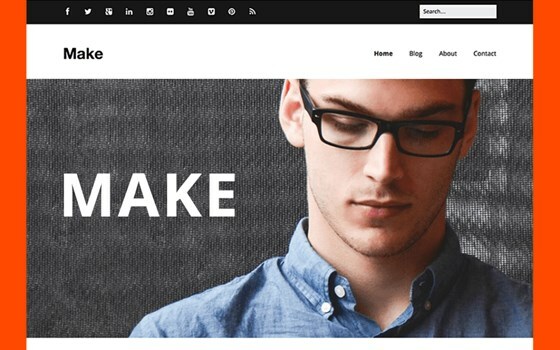 A 100% responsive design for WordPress themes. It has a theme customizer and unique footer area. It has a features area, a masonry blog design and a featured area. It is suitable for any industry, hobby or business. 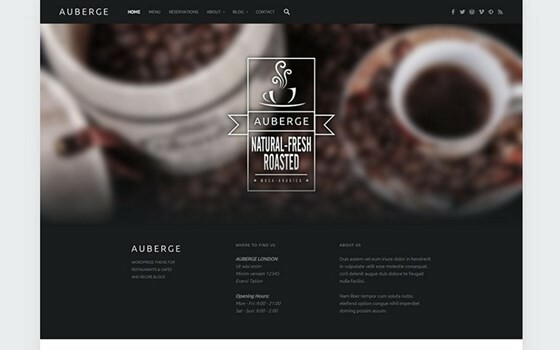 This WordPress theme is great for coffee shops and other food enterprises. The customizable colors and translation ready codes make it very appealing for use. It is also versatile because of the threaded comments allowing for interaction with customers. A simple plugin like Jetpack is functional. 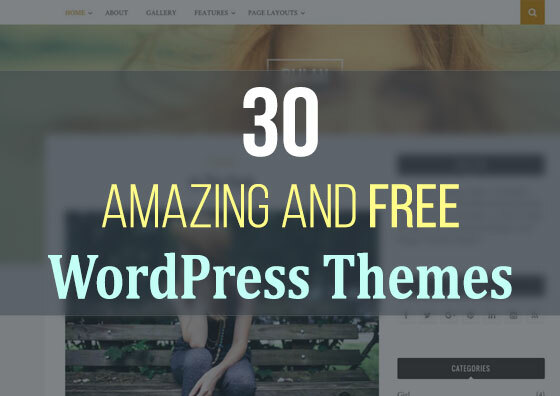 In conclusion, you can have your website or blog set up from whatever you are with any of these WordPress themes. They are free and waiting for you to download and get to work. Sujain Thomas is a data IT professional who works closely with remote DBA experts to provide her clients with fantastic solutions to their data problems. If you need data IT solutions, she is the person for the jobs.